This photograph shows an unidentified Bristol FLF in Lille, France on a very wet Saturday afternoon (23rd March 1985). It's origin is unknown save for the fact that the inverted SBG style destination screen suggests that it is an ex-SBG vehicle. It is unclear whether it is in use as a mobile Cafe, or simply advertising one. Note the curtains on the upper deck. "Top Deck Travel" Ex-Hants and Dorset Bristol FS 4382LJ. 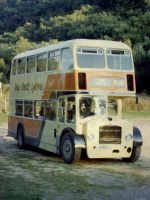 The bus was discovered during a holiday to Corfu in late summer 1982. 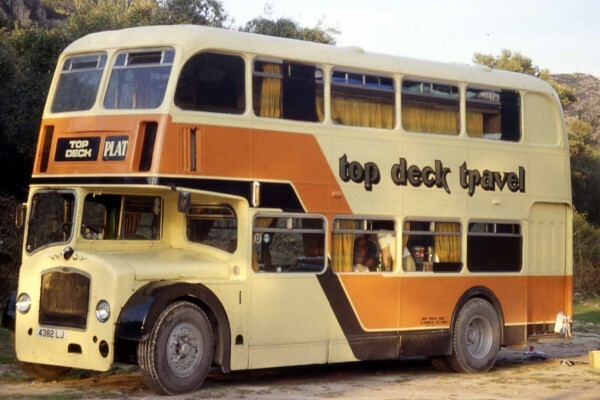 Top Deck had a large fleet of Bristol Lodekka's at this time which travelled huge distances across many parts of the world at a time when many of their sister vehicles had long since departed for the "garage in the sky"! 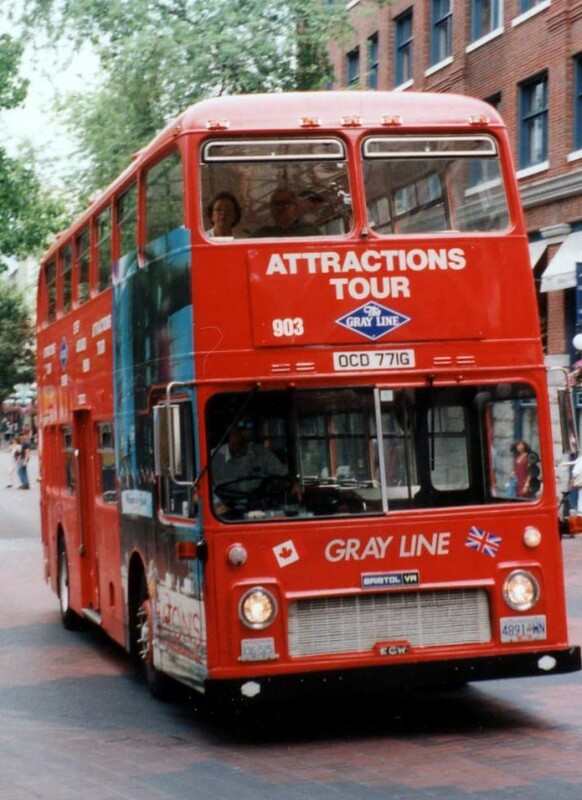 Ex-Southdown Bristol VR1 OCD771G, still carrying its UK registration operating sightseeing tours of Vancouver for Gray Line tours on 7th August 1994. 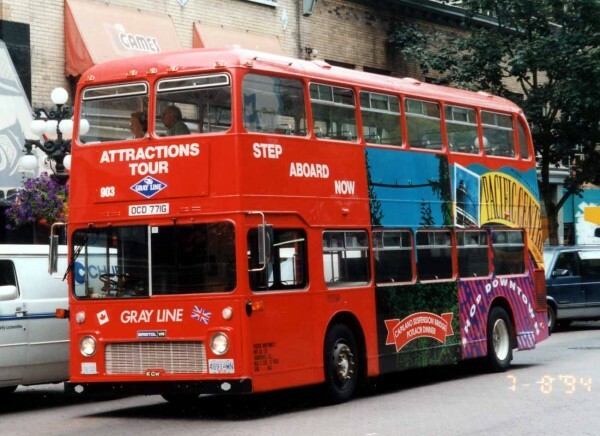 Note the replacement of the original nearside platform door with a window and the insertion of a four leaf door into the UK offside (nearside in Canada) for safe loading and unloading. 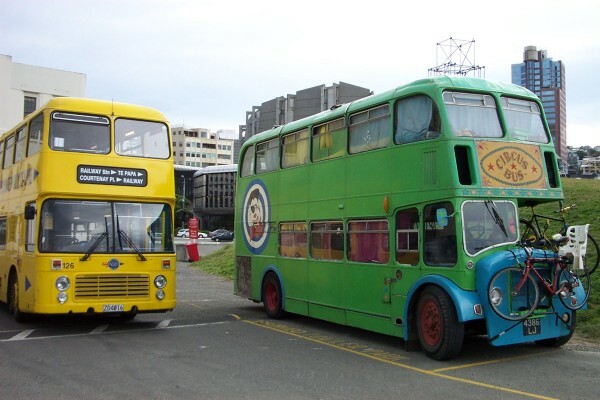 Pictured outside Kilbirne depot, Wellington New Zealand on 10 March 2002. 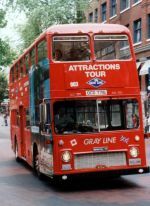 Wellington received three Bristol VR3's from Stagecoach Cumbria in 1999/2000. Wellington fleet number 126 pictured with a Bristol Lodekka which was new to Hants and Dorset as fleet number 1463 registration 4386 LJ. I understand this vehicle was purchased by two people in about 1991 and they have been travelling the world in it ever since. 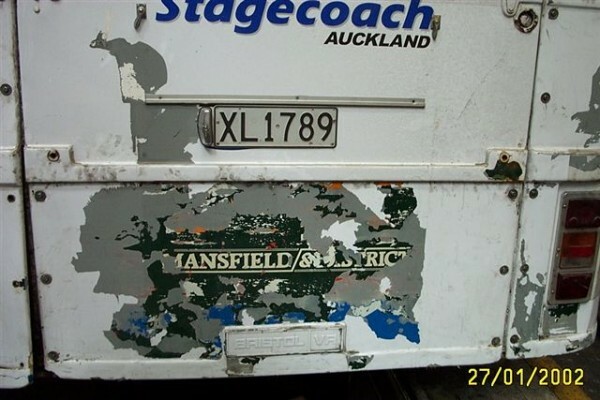 Pictured on 27 January 2002 in Stagecoach Auckland America's Cup 1999/2000 livery is fleet number 125 (on loan from Wellington Buses). 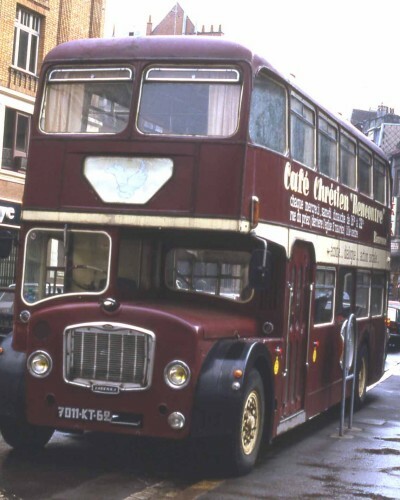 This vehicle was new to East Midland as KWA216W fleet number 216 then Mansfield and Bluebird as fleet number 125. The Bluebird fleet numbers were kept because Wellington had no other vehicles in that number range. The picture shows 125 in the workshop being repainted with some of it's previous history revealed. This picture was taken on Thursday 10 October 2002 at Battery Park in Lower Manhattan (a block from the Staten Island Ferry Terminal and about a mile south of Ground Zero). 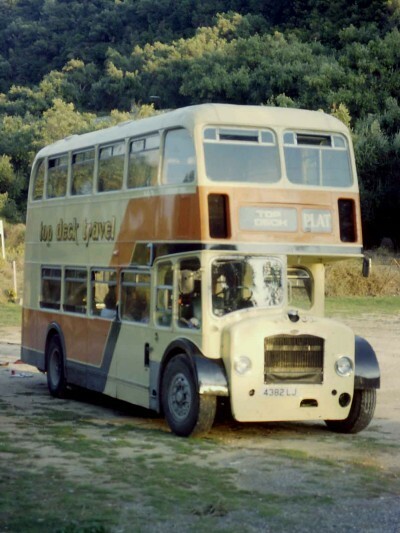 This vehicle is not ex British operated but was British built (TransBus Alexander). 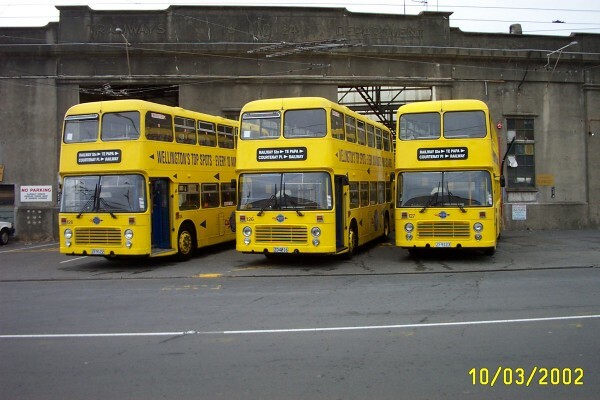 The vehicle was one of an initial fleet of 30 purchased for New York Sightseeing duties. 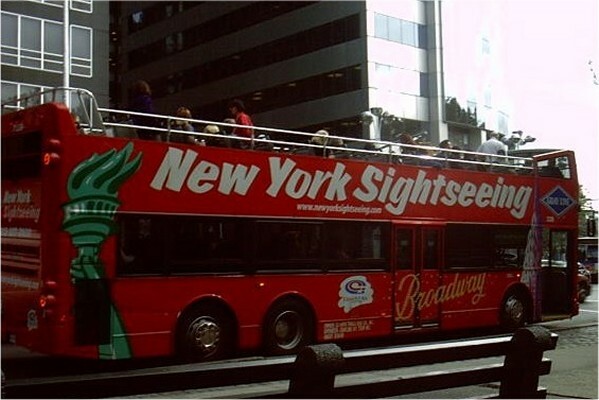 Further information regarding these vehicles can be found by visiting the New York Sightseeing web site CLICK HERE.